Are you driving down the road and leaving a tell tale trail behind you? Probably engine problems. 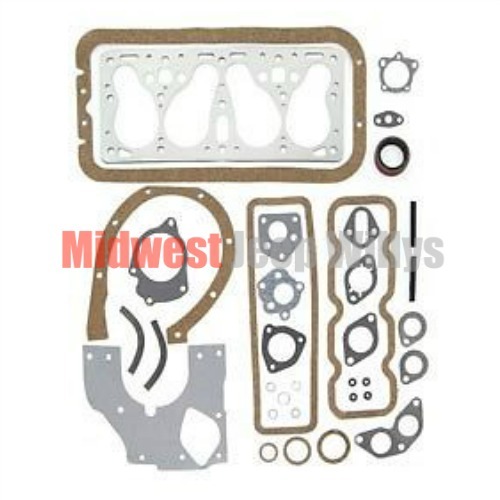 We have the answer with our Engine Overhaul Gasket Set. This set has everything you will need to get the job done right. 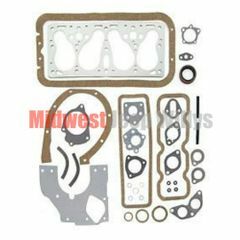 Kit includes: Head Gasket, Oil pan gasket, Oil Pan drain Plug seal, Valve Cover Gasket, Exhaust Gaskets, Manifold Gasket, Timing Cover Gasket, Timing/cover oil seal, Fuel Pump Gaskets, plus other miscellaneous seals and gaskets. The complete set to keep your Jeep traveling down the highway.